SmileCombo includes data, voice minutes, SMSs and is the best bundle to recharge with when you have a Smile SIM card in your mobile phone. You can enjoy SuperFast internet and SuperClear voice calls when you are connected to Smile’s 4G LTE network using your 4G LTE-enable mobile phone. You can make calls directly from a VoLTE-enabled phone OR download the FREE SmileVoice App to turn your mobile phone into a VoLTE phone when making voice calls. Download the SmileVoice App for Android or iPhone. You will get 10 all-net mins FREE daily for 30 days when you download and active the FREE SmileVoice App. The greatest benefit of Smile’s voice service is that you can call any number in the world using the SmileVoice App or your VoLTE phone. The person you are calling does not need the App to chat with you – you just call their mobile or fixed line number as you normally would. 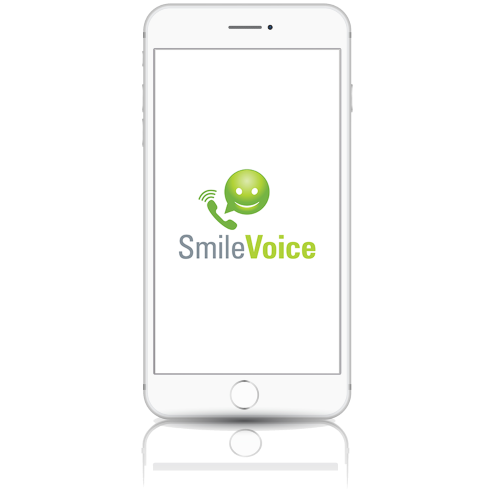 Open the SmileVoice App on your mobile phone or tablet, all your contacts are pulled in from the contacts on your device, select your contact and press the green dial button. Recharge now with the new SmileCombo bundle.